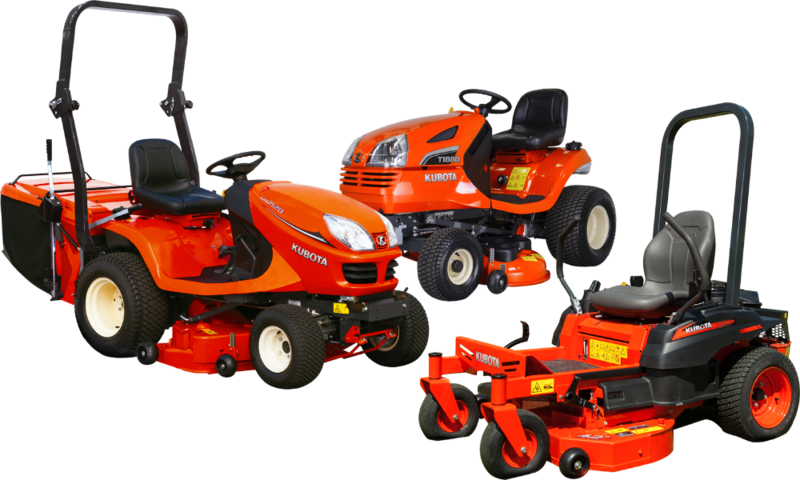 This Spring make sure your lawn gets off to the right start with a Kubota ride-on mower. 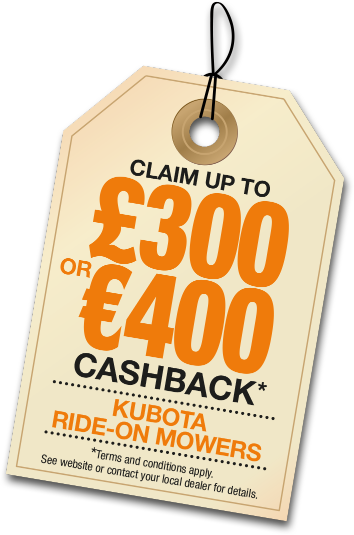 With unmatched performance, excellent fuel economy, legendary reliability - and now with up to £300/€400 cashback* - it’s never been more affordable to upgrade to a Kubota ride-on mower. Claim £300/€400 CASHBACK on a new GR2120-II/GR2120s and claim £200/€270 CASHBACK on a new zero turn Z122R, T1880 or GR1600-II/GR1600 ID. * Conditions apply to the 2nd year. † Z122R has a 4 year, 300 hour warranty. A.Simply complete the claim voucher via the button below. B.Visit your local Kubota dealer to purchase your Kubota ride-on mower. We’ll send you a cheque for either £300/€400 or £200/€270. For bank transfer, we will contact you about your bank details. All claims must be received at Kubota Head Office by Friday 13th July.